Creating, editing, and viewing engineering drawings is the most important part of the business of any mechanical, civil, or electrical engineer, as well as that of architects, interior decorators, and anyone in the business of providing engineering services. Many businesses have shifted from creating manual drawings to computer-generated ones, using computer-aided design (CAD) software. Until recently, only a few software packages were available for creating 2D, 3D, and solid shape drawings, but now there are many alternatives at reasonable prices. CADopia, based on IntelliCAD technology, is an excellent choice for anyone who creates and uses CAD drawings. CADopia 8 comes in three versions: Standard, Premium, and Professional. If you have to do basic drafting, dimensioning, and annotation, the Standard version will do the job. The Premium version has number of additional features: an Integrated FlexLM Flexible License Management tool, Microsoft VBA, Raster Image insertion and editing, AutoLisp, the enhanced CADopia Explorer, Xref clipping, and much more. CADopia Professional 8 has the combined features of the Standard and Premium versions. When I started using CADopia, the first question I wanted to answer was, “Will it be as easy to use and as dynamic as AutoCAD?” Much of my doubt about CADopia vanished when I saw the command window at the bottom of the screen, which assured me I would be able to use it without any difficulty. And as I continued to use it, any remaining doubts about its ease of use, productivity, and value vanished. CADopia Professional has all that you need to create 2D and 3D drawings. Using primitive shapes and Boolean operations, you can create sophisticated solid models. The greatest thing is that the drawings are created in .dwg format; hence, you can easily open and edit CADopia drawings in AutoCAD and vice versa. CADopia offers most of the features offered by highly expensive software packages like AutoCAD at a much lower price. CADopia Professional 8 costs $495, while AutoCAD Professional 2008 is available for $3,995. There is a great difference in the prices of the two professional drawing software packages, but the difference in features, ease of use, and productivity offered by the two is very small. I personally found CADopia as effective and efficient as AutoCAD. At its price tag, CADopia offers a great value for individuals, SMB, and large businesses equally. From a business persepctive, CADopia helps your employees create and edit drawings in the AutoCAD format, is integrated with VBA, offers great tools for creating solid models, enables exporting of drawings, helps recover damaged files, and offers many other features. Overall, CADopia will help improve the efficiency and productivity of your draughtsman. 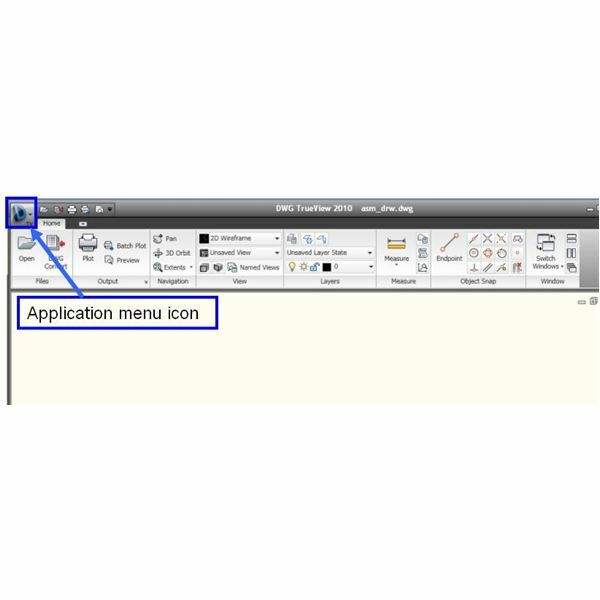 Besides the drawing tools, there are many other tools available below the menu bar, including move, rotate, 3D rotate, mirror, 3D mirror, and more. [See Image 5] Understanding and using the icons is quite easy. If you do not understand any icon, there is exhaustive help that describes all the features and tools of CADopia. Overall, the user interface of CADopia is such that most of the tools are available near your working area. You do not have to waste time in searching for tools; nor do you have to travel large distances across the screen to use them. 4) CADopia lets you work on more than one drawing at a time, and one of its greatest strengths is CADopia Explorer, which is very similar to Windows Explorer. [See Image 12] CADopia Explorer lets you view and manage all of the elements of multiple drawings from a single window. Just like in Windows Explorer, you can copy and move the elements from one drawing to another. 5) CADopia supports most of the drawing commands of AutoCAD. 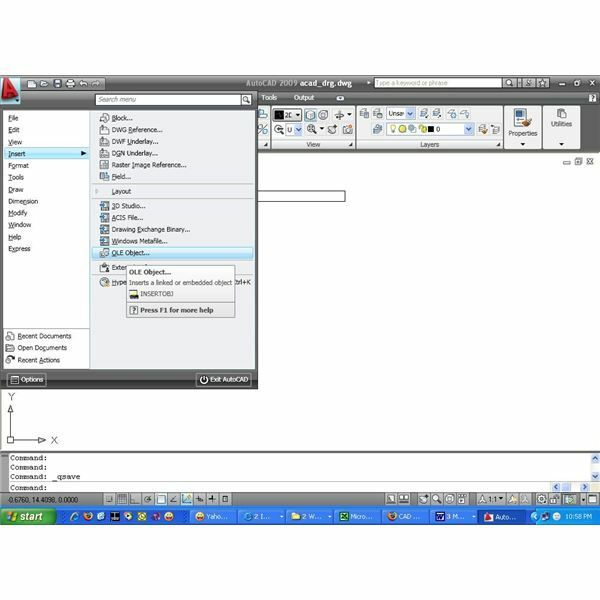 It supports AutoCAD customization files, including linetypes, hatch patterns, text fonts, the unit conversion file, menus, toolbars, and aliases. 8) The external reference (Xref) feature of CADopia allows you to link other drawings to your current drawing without inserting any of their contents. 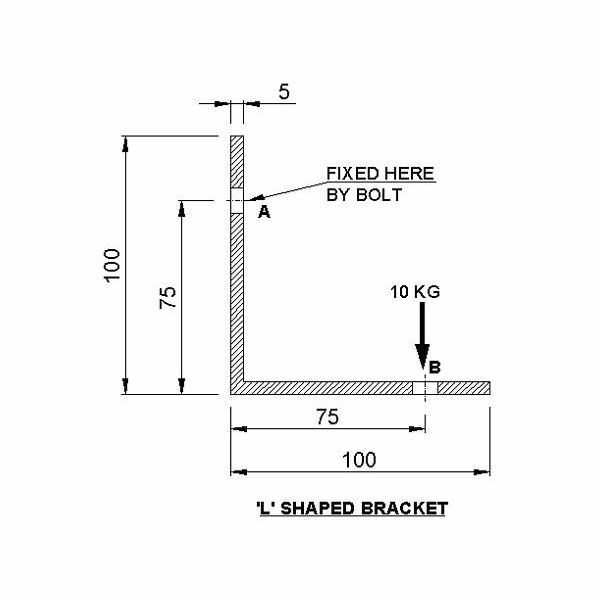 [See Image 15] This feature is very useful when you are creating an assembly drawing from component drawings. Apart from these, there are many other features of CADopia. The more thoroughly you learn the software, the better use you will be able to make of it. For some users, not all of the advanced features may be necessary; they can always opt for the Standard or Premium versions. However, by paying a hundred-odd dollars more, you can benefit from the complete Professional version. Who knows what you may require in the future? CADopia Professional 8 comes with a number of excellent features at a comparatively low price. Though it is easy to understand the features by reading the help, I would still say that learning the software in a systematic way is quite essential to get the best out of it. If you have already learned AutoCAD, there should not be any problem in using CADopia, but if you have no knowledge of the use of CAD software, you will have to learn it. There are many institutes providing training in AutoCAD, but not many institutes provide training in CADopia. In such cases, the only option available is learning CADopia from the company itself. The company offers courseware for training its customers. There are very few sample drawings and no library of commonly used engineering components. I am not an expert user of CADopia or AutoCAD, but I found using CADopia very easy. When I first opened the software, the first thing that I looked for was an option to make a drawing by using commands. When I did see it, I was sure I would be able to use it easily, which turned out to be true. Further, I could also easily insert shapes from toolbar below the menu bar and from the Insert menu. Creating the solid shapes is very easy and sort of fun. Overall, the software gave excellent results; I think CADopia is an excellent alternative to AutoCAD, as it comes with most of the advanced features at a reasonable price. If you have not learned AutoCAD or CADopia, there is excellent help that explains various commands and features of the software. If you are a self-learner, this is good enough for making the best use of the software and putting your creative mind to work. If you have working knowledge of CAD software, you can get course software from CADopia and learn the software thoroughly. I felt the help was not as dynamic as it should be for CAD software. Though most of the commands and the features of the software are explained, there is a lack of formal training. One can easily learn AutoCAD from any authorized institute, but there is no such institute for CADopia. The company should have added a number of graphic and video tutorials to help the users learn the software in easier and more effective ways so that they will not need formal training. Of course, the company offers a training course, but you will have to pay extra for it. If CADopia is to make a mark in the CAD software market, it will have to make its training more effective and make training free as far as possible either by classroom or by tutorials that are more dynamic. 1) CADopia should provide dynamic graphical and video tutorials in the Help menu or separately on its website. 2) There should be more sample drawings and 2D, 3D, and solid shapes. 3) There should be library of the components (nuts, bolts, etc.) that engineers use frequently. CADopia Professional 8 provides high value to professionals and small- and medium-size businesses, and perhaps even large-scale businesses. It is a perfect tool for engineers, architects, interior designers, and others to create high-quality, complicated, 2D, 3D, and solid shape drawings. The drawings created in CADopia are in .dwg format, which makes it easier to shift from AutoCAD to CADopia and vice versa. AutoLisp and Microsoft VBA are integrated and enable you create various programs and applications. 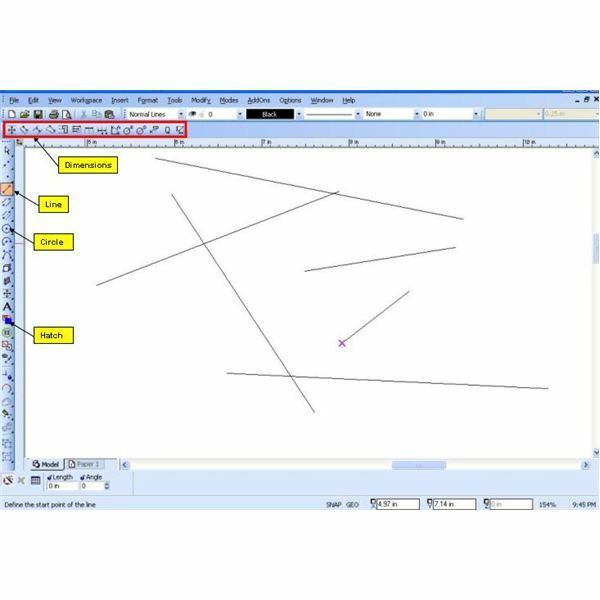 The facility of creating the drawing by commands further makes CADopia similar to AutoCAD. You no longer have to spend heavily to get advanced CAD software features. CADopia offers great value for your money. A highly intuitive user interface combined with excellent features brings CADopia into the league of well-known software like AutoCAD and CATIA.